If you know me, even a little, you'll know that my favorite place to be in any town that I visit is it's favorite local coffee shop. 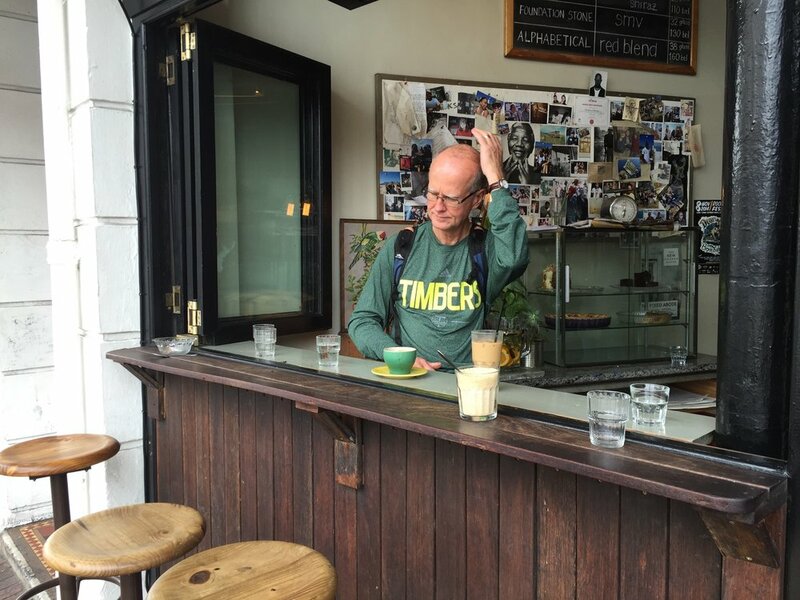 Or, if I happen to be in Seattle, one of it's 500,000 local coffee shops (probably an exaggeration, but just a testament to why Seattle is currently my dream city). It's not just about consuming large quantities of hot, steamy, locally roasted, caffeine-y goodness in cute porcelain mugs that gets to me...I truly believe that you get a good feel of the vibeof a town, or the sense of place,when you step through the doors of any beloved local coffee shop. Coffee really does bring all sorts of people together, even if just in the physical sense. Students cramming for their next exam, looking for an energy boost. Corporates chatting about their next business venture over a cup of espresso. Moms meeting up to gossip over vanilla lattes after stroller-pushing in the nearby park. Nervous young adults on first dates, worried that dinner and a movie might seem too serious a venture. The list goes on and on. But, as far as I'm concerned, if you appreciate the finer things in life, you can appreciate a good cup of coffee, and the atmosphere of togetherness in any local coffee shop. And that's what really fuels my day more than any caffeine kick. So that's what this particular post is about - I've been a bit scattered over the country of South Africa, and the United States for that matter, over the course of the past year. 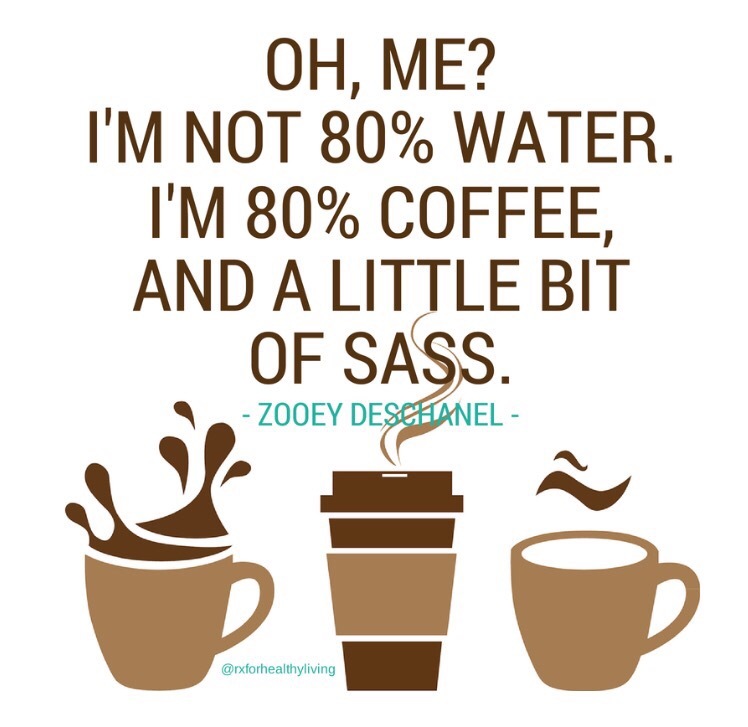 And I've drank a LOT of coffee, in a LOT of different coffee shops. On any road trip, or any day trip into a new city, I always made sure to be equipped with the knowledge of where the best local coffee shops were located (couldn't have done it without TripAdvisor). It surprised me to learn how much of a coffee culture the city of Cape Town has developed. Really, CNN did a write up on how the city has become the epicenter of South Africa's specialty coffee scene, which makes sense since the "population has a reputation for being trendy and aspirational." Not too long ago, you used to have to specify filter coffee, please to avoid getting served instant coffee in even the nicest of restaurants. And though I initially had to get used to the fact that a majority of South Africans still do drink their coffee instant, I realized that they do the whole "coffee date" and "tea time" so much better than what I've experienced in America. People linger for hours over coffee and tea, and it's always offered whenever you step through the door of someone's home, even if you're just dropping something off or saying hello. There is generally a scheduled "tea time" in most work environments, around 10-11 in the morning. And most people aren't running around with portable coffee mugs a la America, spilling scalding brown liquid down their shirts as they rush off to work, frantically gulping as a sort of prayer for energy to get through their day. South Africans prefer to drink their coffee sitting down, in a proper mug. Only recently did coffee shops start offering "to-go" cups, and they really aren't used all that much. In America, it's in reverse - you must always specially request to get your coffee in a mug "for here." What does that say about our culture versus South Africa's? Here, it's just assumed you want your cup on the fly, but over there, they assume you want to sit down, relax, stay awhile, read, chat with your old aunt, whatever. They want you to linger. To enjoy. To live in the present moment, not rush off to some other incredibly important unspecified event in the near future. So, as I share the best local coffee shops I've been to over the past nine months in South Africa, I'll make special note of the vibes, the beans, and in general, the experience of enjoying coffee in a culture very clearly centered around "African time." Hopefully, you can visit some of these and experience a bit of South African coffee culture for yourself! While this isn't exactly a traditional coffee shop, I had to include it for the views, and the fact that it was the first stop I made with my Dad when he made the long journey over from Idaho to visit me in the very rural town of Komga, South Africa. Morgan's Bay is a stunning little coastal town not more than a 45 minute drive from Komga, and the views from the nearby cliffs are enough to make anyone's heart stop (hence, the need for coffee to kick-start that beat again!). My next stop with Dad was the city of Durban for his conference with the South African Heart Association. So, considering he spent a couple days busying himself with gaining knowledge in the ever-changing world of medicine, I had plenty of time on my hands to explore the blossoming coffee culture in this subtropical, coastal beach haven. The Freedom Cafe was just about the most Portland-like cafe I encountered in South Africa. The decor was on par, nice and quirky, with huge walls of mirrors and interesting stickers and lighting fixtures adorning the other walls. I ordered an iced coffee, and it came sprinkled with perfectly roasted espresso beans. Fortunately, it was actually iced coffee and not a coffee milkshake, which is what you'll generally be served when you order an iced coffee in SA (I mean, there are worse things in life than being mistakenly served a milkshake, but I don't like my coffee sweetened). The place serves up some damn good food as well. I never appreciated (or even knew) what the heck a potato rosti was until I came here! Really, just check out the menu and start drooling. Dad got to join me at this relatively new establishment on Durban's beachfront. The idea behind it is to provide a hot cuppa for cyclists on their way down the promenade, but Dad and I were just fine bouncing up on foot. As seemed to be typical in SA, the view was AMAZING, and the prices (on our American dollar) felt like mere pennies. It was a bit stormy and cloudy on the day we went, but I think that added to the drama of the scene. This was a stop I made on our last day in Durban when Dad was finishing up his conference. I adored this little neighborhood spot. It was much less flashy than the others, but the attention to details in the gluten-free pastries and grain-free granola were a real win in my book. It is a little unnerving when you park your car and notice the car guards wandering around in their yellow vests (it just reminds you that it's not exactly the safest of countries), but it's fairly typical in SA to have these young men watch your car while you dine or do whatever it is you're doing. It's also considered common courtesy to leave them a few Rand as tip when you depart. I didn't have a chance to snap any photos of The Bean Green Coffee Company, but if we're going to be technical, this was hands down the best brew I had in Durban. I don't really know why, but the name of this place still makes me laugh out loud. When I was there, it kind of made me want to take a sip of coffee, stand up, flex my biceps, and yell, "THE POWER AND THE GLORY!" to the surrounding clientele. Good thing I didn't. Sometimes, when you've got the label of tourist, it's best to minimize your stand-out-ness. While Dad and I were visiting Cape Town, the next stop on our itinerary, I elected to stay outside of the city in one of the smaller, more-removed coastal towns on the Cape Peninsula. So I AirBnB'ed us a fantastically reasonable beach cottage in Fish Hoek, and Knead Bakery was just a hop skip and a jump away in the very surf-y town of Muizenburg. Seriously, if there was a Huntington Beach in the Western Cape of South Africa, this would be it. And, considering the newly developed obsession of mine that is artisan baking, I fell in love with the idea of a coffee spot that did both coffee and bread incredibly well. So of course we stopped by Knead Bakery, located literally right across from the main surf beach. The vibe wasn't my favorite, as it was a fairly large establishment and not quite the cozy feel I typically look for in a coffee shop. But, the surfer eye candy made up for that downside ;) And the mocha was pretty darn decent. So, it was time to say goodbye to Dad. After our two-week trip, I spent a couple of months living and working as a waitress and bartender in the PHENOMENAL (sorry about all of the positive adjectives, but I can't help it when I talk about SA) coastal town of Chintsa, which is divided into Chintsa East and Chintsa West. So naturally, I tried to hunt down the best coffee in the area. Let me insert a quick lesson on the provinces of SA: the Eastern Cape is generally a bit more rugged and rural than the other areas I visited (KwaZulu-Natal and the Western Cape) and is the poorest province of South Africa. It's not quite as built up, not as progressive, and of course that's precisely why I fell in love with it. Nowhere else in the world can you find such unadulterated stretches of beautiful coastline. This is precisely why they call this area the Wild Coast. But, this also means that they are a bit behind in some areas (like government efficiency, technology, etc. ), and the coffee culture is nowhere close to what it is in the more progressive areas around Durban and Cape Town. Of course, that doesn't mean I didn't find my gems in the area! Crawfords is a great beach lodge in Chintsa with a restaurant open to the public that offered uninterrupted views of the pool and the Indian Ocean. And they do French Press well, or as they call it in SA, plunger coffee. ...or down on the beach on a misty morning after a relaxing session of yoga. P.S. this lovely "Coffea" insulated Klean Kanteen is one of my most prized possessions, from one of my favorite coffee shops along the ridiculously long route from Coeur d'Alene, ID (home) to Notre Dame, Indiana (my alma mater). If you're ever in Sioux Falls, South Dakota, you have to stop at Coffea Roasterie and Espresso Bar. Bring an AED in case you die of coffee heaven. And do yourself a favor and pick up one of these insulated Klean Kanteens, because they keep coffee HOT for up to 5 hours, and I do like to drink my coffee slowly. Most of the time I spent in South Africa was either in or around East London, the biggest city near where I was working. The beaches in this town are stunning, and I even spent a couple of weeks working as a waitress at The Reef Cafe in a nature preserve near Nahoon Beach. My incredible boss hailed from the UK and had one of the richest understandings of quality coffee. He also knew how to pull a great shot. I learned a lot from him! Lavender Blue Market was always one of my favorite places in the area, though, as it was located away from the hustle and bustle of the city in the suburb of Gonubie. I probably visited at least 30 times in the 9-month span I spent in South Africa. There was always an effort on selling and using local produce and homemade farm products, like jams and honey and cheese, and the baristas there are top notch (seriously, I think one of them placed quite high in the National Barista Competition). The presentation of everything was always beautifully well-thought out. This place was cute, and the baristas knew how to pull a great shot. Not much more to be said. So, although my heart has always seemed to belong to Cape Town, the nearby town of Stellenbosch is in high competition to steal it away. It's mainly known for the local university and the phenomenal wineries surrounding it (it's considered the heart of the Cape Winelands), but it also has a great foodie scene and really holds its own in the specialty coffee world. Hazz Coffee was by far my favorite in the area, but the Blue Crane & the Butterfly had a nice quiet location off the main street in Stellenbosch. And a really cute waiter. I feel pretty confident in describing nearby Franschoek (about 20 minutes from Stellenbosch, still in the Cape Winelands) as one of the "foodie capitals" of South Africa. Fine dining is the norm here, and not necessarily in the typical "prissy" interpretation of the term...I mean, come on, they have a pop-up bacon cafe, where each dish is based off those delightful fatty strips of pork. "Mmmm hot DAMN, that's some fine bacon!" That's fine dining, right? But Franschoek is also home to Terbodore. The Coffee Roaster that changed my world. Or at least introduced me to some of the finest coffee in the region. The highlight was its location on a farm on the way into town. Dogs roaming, sunshine beaming, tractors decorating the yards. Check out their Terbo Truck, which I assume ventures into town on occasion to deal up some fine espresso to the local city folk. I just love when places serve little cookie treats with their cups of coffee. And make use of mason jars. This place won. I don't even know what contest my mind conjured up, but this place just...won. My taste buds still dream about that iced coffee. I have very fond memories of this place, mainly because I accompanied two of the most wonderful friends I met in Stellenbosch whenever I came here. Whatever you may hear, the majority of South Africans are incredibly warm, friendly, and welcoming people, and my friends Gustav and Elizmari were no exception. I loved sitting with them in the shady outdoor seating area, daydreaming about life and reveling in the chance to learn so much about people from a different part of the world. Elizmari is an amazing cook and a fellow coffee enthusiast, so when she described this place as the best coffee in Paarl, I knew I had to go. She was right! And again with the little cookie treats they serve with their coffee...like little gingerbread hearts. SO GOOD. Though my heart always seems to be breaking when I drive away from Cape Town, the stops along the Garden Route always seem to help. Knysna is a very unique town along this famous tourist route, and I made sure to stop on my way back to East London from my jaunt in the Western Cape. Ile de Pain (literally translated into Island of Bread) is recognized as one of the best bakeries in the nation and is located here on Thesen Island. I'd actually visited on my previous trip to South Africa with my sister, and we both fell in love with the vibe. It is consistently crowded, but for good reason, and the drive onto Thesen Island is so worth it. I don't know who the genius was who came up with the idea for the Coffee Culture guide to South African coffee, but I love them. If I ever meet you, anonymous sir, expect a marriage proposal. The actual best coffee I had in South Africa. But, the places where I enjoyed the very best coffee weren't the fancy boutique coffee shops or the elaborate roasteries. It was always at the homes of my friends. The amazing Ruth, who I stayed with for many weeks, was my most dedicated coffee-sipping companion, and she never failed to enjoy every last drop of French Press or drip coffee with me. We could talk on and on about everything and nothing at the same time, and I learned so much from her about reveling in each moment and really being in tune with your senses, no matter what you're doing. Plus, she had these amazing handmade porcelain mugs. I firmly believe that half of the coffee experience is what you're drinking out of, so you should make it count and never skimp on the vessel! And I will never, ever forget the many other wonderful, generous South Africans who shared a cup of coffee with me (amongst other things - a room to sleep in, copious amounts of meat, stories about life growing up on a farm in South Africa) over the course of my time there. Thank you to both of the wonderful Hart familes, my amazing fellow outdoor-enthusiast Yvonne, the fantastic chefs Wally and Trish, the incredibly warm and selfless Malherbes, the unstoppable Ruth and Roy, the ever-adventurous Pietie and Anina, the welcoming and fascinating Hennie and Bev in George, Gustav and Elizmari, the friends I made in Stellenbosch, Gary and Jason...I am overwhelmed with gratitude and humbled that I had the opportunity to meet each and every one of you. So, there you have it, a summary of the 9 months I spent in South Africa...in terms of the coffee I drank. Not your average summary of life abroad, but I suppose not everyone loves coffee as much as I do.